Well, winter is gearing up, and snowy scenes are making their way onto the news media and internet for one reason or another. Here in Houston, the land that snow forgot, I forlornly expect another whiteless winter, though, yes, we may get a momentary flurry or two. The great ambition of my childhood in San Antonio was to experience snow, and the thing actually happened a couple of times. When I moved to the east coast in my 20s, it took a while before the full pleasures of snow really began to soak in–sometimes literally. Having kids helped. So did home ownership. Nothing really compares to looking out one’s own picture window at a long, persevering snowfall whose gentle crescendo finally reveals itself in the plump accumulation on the ground below. 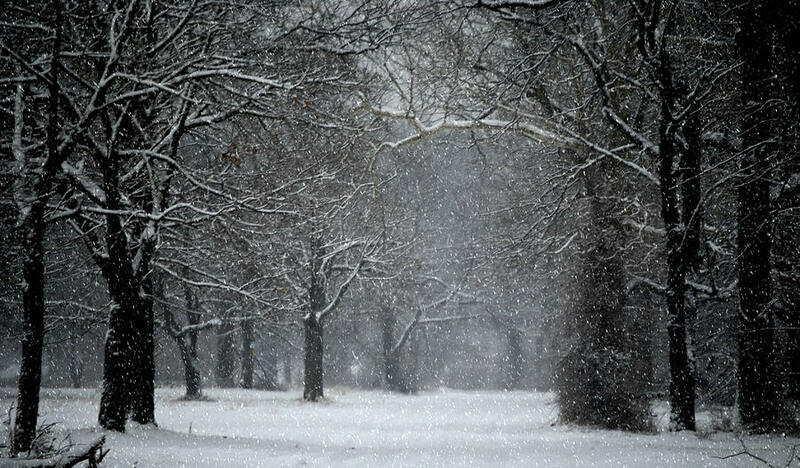 Many Americans have never lived in a snowy land. They may wonder whether snow really has the dreamy, exultant effect on the human spirit that is depicted in movies, on Christmas cards, in wintry scenes from Norman Rockwell paintings, and so on. I regret to inform them that it does. Snow is just about exactly the wondrous, sentimental, contemplative, romantic, poignant, cozy-in-one’s-house-with-hot-chocolate kind of thing that the purveyors of the great snow dream say it is. It is all true. It seems a bit unfair that God has not distributed snow more evenly across the globe. But I have to believe that every variation of climate has its own excellences. We just don’t fully appreciate all of them as we should. And snow has been given a massive headstart in the appreciation race. European settlement of this nation began on the snow-rich east coast, and for centuries after easterners have trumpeted the glories of snow to the rest of the growing nation. If Houston had been an old colonial town, replete with cobblestone roads, meeting houses, and revolutionary era fervor, I have no doubt that bloggers in our snowy eastern lands would now be writing wistful posts about the charms of hot summers, mild Christmases, and sudden rains. In the land that snow forgot, may these truths bring comfort–until a dream deeper than snow takes their place. ” the charms of hot summers, mild Christmases, and sudden rains.” That made me laugh. Although it’s true that those who get hit by below zero temperatures love our “autumn all winter” and growing up in Seattle certainly makes me appreciate the real summer we have here (even if it does blister my skin). I made a business trip to Alberta, Canada in early August, 1973. The choice of date was deliberate; coming from Houston, I wanted to be cool at least for awhile. It was 100 degrees! I was told, “We have only about two weeks of this every year.” Two weeks was quite enough for me.